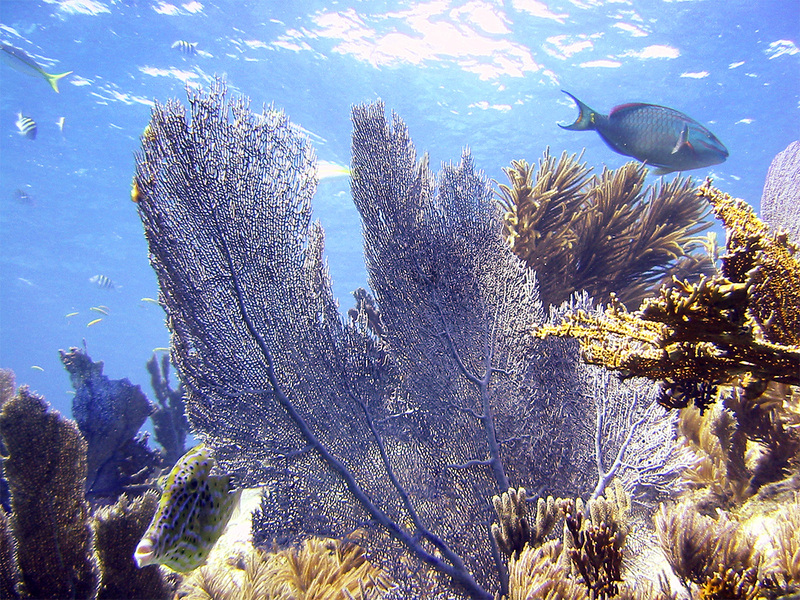 Sea fans, Scrawled Filefish, and Stoplight Parrotfish, Molasses Reef, Key Largo, FL. ©Patrick J. Lynch, 2017. All rights reserved.